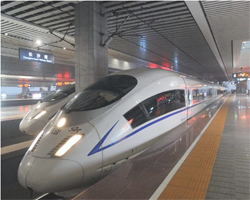 China has developed a 3D scanner on millimeter waves for safety inspection | All about CHINA. Chinese engineers have developed a special scanning device, which at a respectful distance can more accurately detect something forbidden. Such mobile scanners can be installed at airports or on turnstiles at the entrance to crowded places. The device is much easier to manage than previously used in this direction scanners. To service THE 3D scanner you need less staff, all charged with electronics. Specialists from the Chinese aerospace science and industry Corporation have developed and created the first working analogue. This Agency is known for creating missiles and missile technology in China. This device on the monitor shows the whole body directly at the level of the skin and you can see all the bulges and hidden objects under the outerwear. The base of the device already has data on 89 in the form of a dangerous object, in order to scan a person and compare the scan with a sample to identify a dangerous object takes only one second. The scanner also sees liquids in the tank, which, by the way, the usual turnstile scanner does not recognize. On the test tests, the new scanner showed an error of only 5%, which means that the era of manual inspection and feeling of all passing under suspicion is a thing of the past. The speed of passage through checkpoints will increase significantly, and the staff working in this direction will significantly reduce. Passengers, in turn, will not be infringed on their rights and will not spend their personal time to linger on the passage of metal detector and special security gates.